Garmin Forerunner GPS Watch Just $39.99! Down From $100! PLUS FREE Shipping! You are here: Home / Instagram / Garmin Forerunner GPS Watch Just $39.99! Down From $100! PLUS FREE Shipping! This is something you should check out at Best Buy! 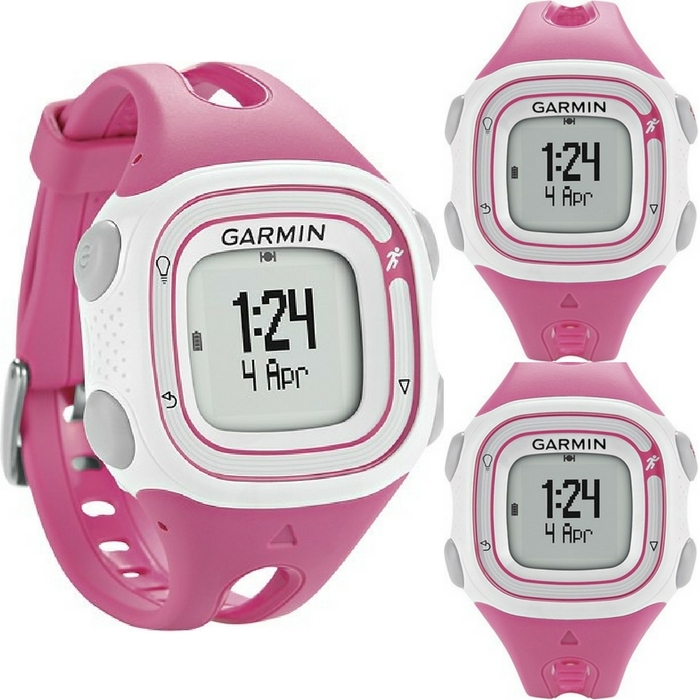 Garmin Forerunner GPS Watch is now on sale for just $39.99 down from $100 PLUS FREE shipping! Isn’t it wonderful? Grab one now! Fits most wrist sizes: For comfortable wear. Measures time, distance, pace and calories burned: To help you keep track of your progress. 7-activity history lets you review your recent workouts for easy comparisons. High-sensitivity GPS receiver: Provides accurate location data for precisely tracking your route, distance and speed. Water-resistant to 164‘:For dependable outdoor use. Shock-resistant design absorbs minor impacts for durability. Go for a run or walk:The run/walk feature ensures accurate readings, even if walking breaks are part of your workout. Virtual Pacer charts your current pace to your target to keep you informed while exercising. Connect to your PC: Garmin Connect provides access to an online community where you can analyze, categorize and share workout data to enhance your regimen (Internet connection required). Rechargeable lithium-ion battery: Provides up to 5 hours of continuous use with GPS for extended battery life.